Kosovo police arrested five people today in connection with investigations being carried out after the wounding of the lawyer Azem Vllasi. Kosovo media sources within the police are arrested: Ragip Sallova, Halim Halimi, Bajrush Konjusha, Sabit Berisha and a person N.N. Sallova and Berisha by order of the Prosecutor were sent to custody for 48 hours, while others were released in a regular procedure. All arrestees are suspected of preparing terrorist offenses or criminal offenses against the constitutional order and security of the Republic of Kosovo, more specifically suspected of being part of the "Eye of the People" organization. The police action was conducted today by the Serious Crime Investigation Directorate in support of the Special Unit, which executed the order issued by the Basic Court of Prishtina. "During the houses control the following evidences were found and confiscated: 1 gun and 2 cartridges, 1 air rifle, 1 computer cabinet, 6 mobile phones, several notebooks, USB, 7 hunting cartridges, which will be sent to Further examination ", declared to the Police. 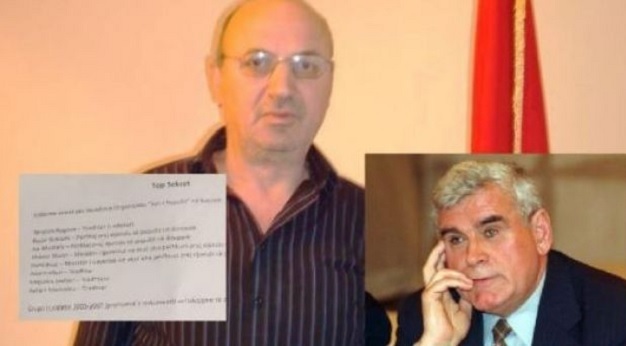 The suspects were escorted to the police station and after the investigative proceedings were completed with the suspects, the prosecutor issued a 48-hour detention order for Ragip Sallova and Sabit Berisha, while Halim Halimi, Bajrush Konjusha and N.N., after being interviewed, were released on a regular procedure.